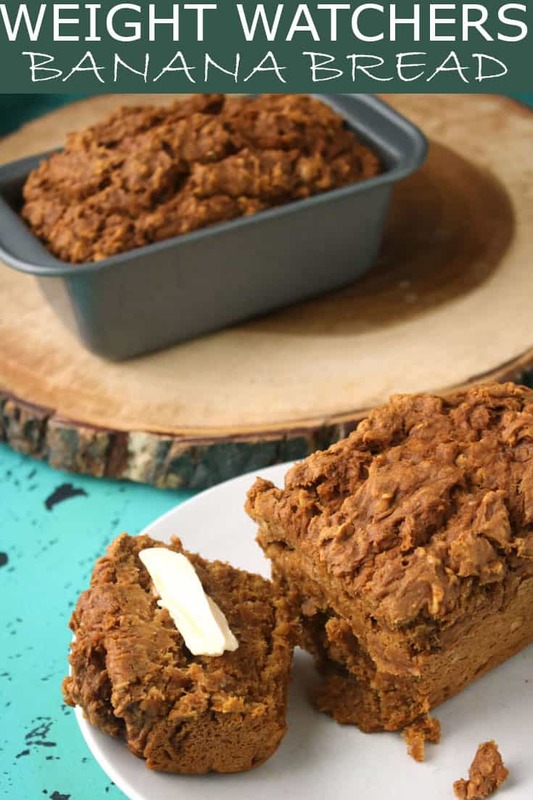 We love sweet breads like our Weight Watchers Banana Bread and breakfast breads but they are not always healthy due to the added fat from oils found in them. 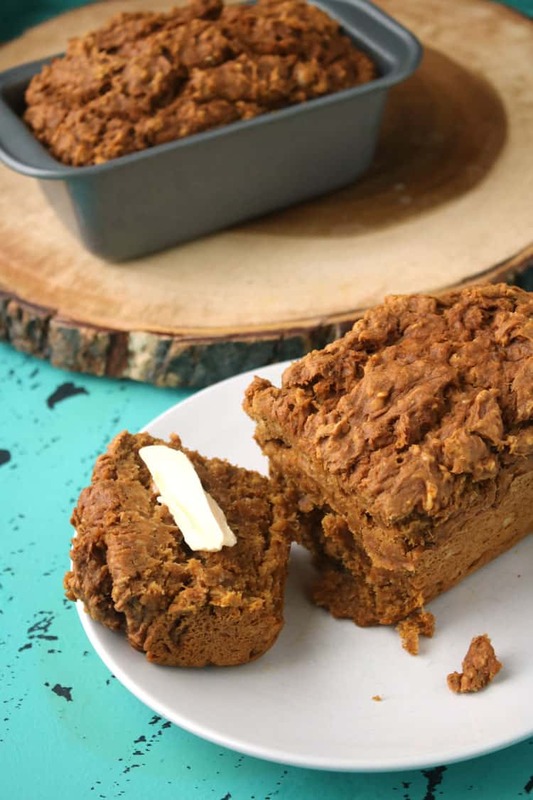 This Weight Watchers Banana Bread is a perfect example of a hearty breakfast bread that makes use of familiar flavors but doesn’t have all the added fats. 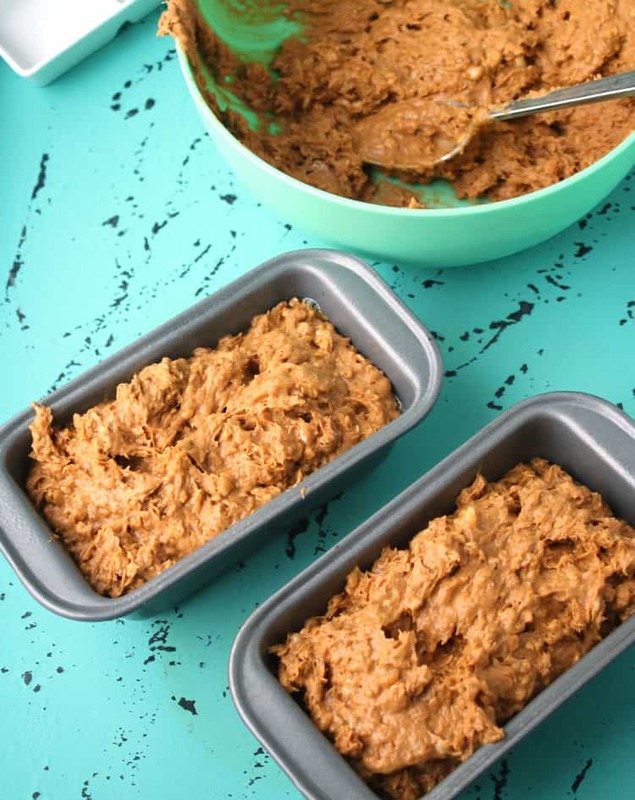 And lets face it, when you find a recipe like this easy banana bread recipe–that is healthy no less–it’s a perfect excuse to make it time and time again. You can enjoy Weight Watchers Banana Bread for breakfast, lunch or dinner. 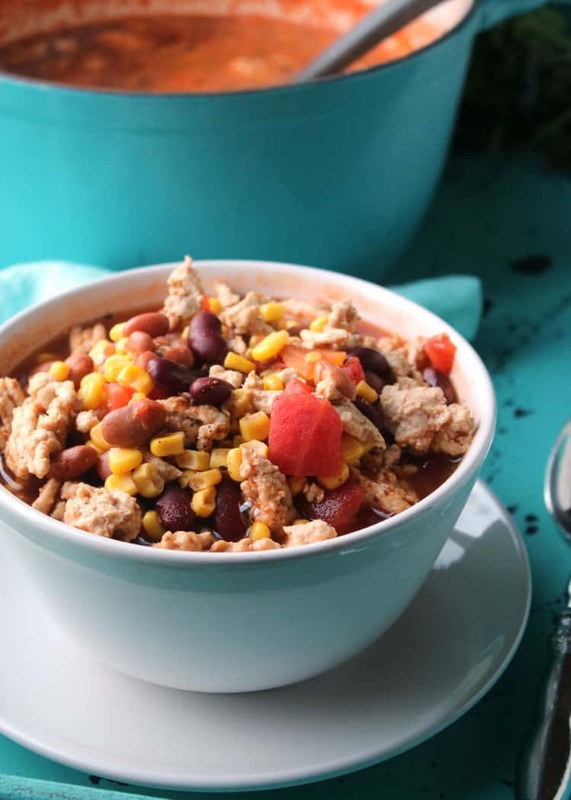 Maybe pair up a half slice of bread with our Weight Watchers Taco Soup. We love pairing Weight Watchers Banana Bread with one of our low calorie soups. It is perfect to serve up together on a cooler day, or just when you need a bite of comfort food. Our Weight Watchers Chili would be another delicious option to pair up with this banana bread. We’re talking about a wholesome meal full of good for you ingredients that really hit the spot. And seriously, when you’re dieting, what is better than a meal that really feels like it fills you? There is absolutely no need to feel like you’re starving yourself when you’re on a diet. As long as you’re cutting calories (and hopefully eating more low carb food) you’ll be well on your way to loosing a few pounds. Just don’t forget to exercise. Because whether you like it or not, that is a key ingredient when it comes to dieting. Or should be. Weight Watchers Banana Bread is so much easier to make than you might think. And it takes just a few ingredients to make it happen. Want to save time and share the wealth? Make double batches of this bread and share with friends and family or freeze for use at a later date. 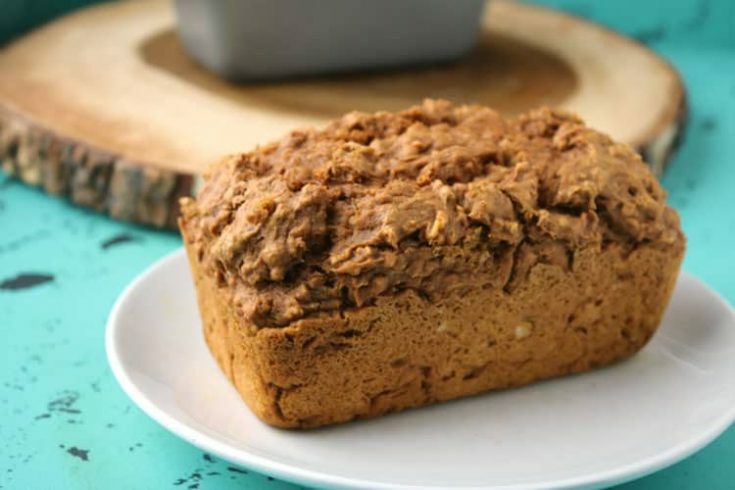 Enjoy the bread with or without the oats, because either way, this bread is healthy and delicious. Mash up bananas, or use a mixer to get the bananas all mashed up good. Add in the canned pumpkin. I tend to stock up on canned pumpkin and sometimes even order canned pumpkin on Amazon when it’s out of season and difficult to find in the stores. 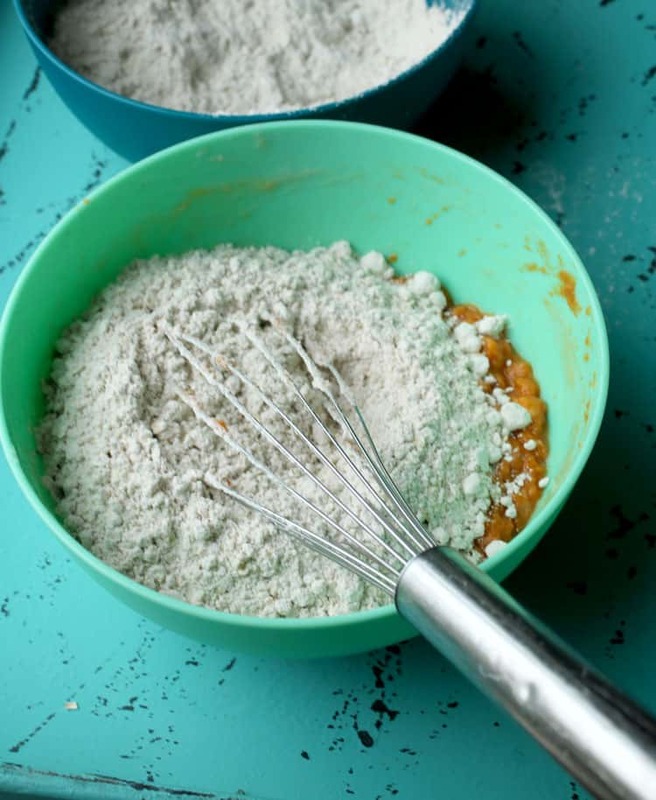 Combine wet and dry ingredients together. Mix until well incorporated. 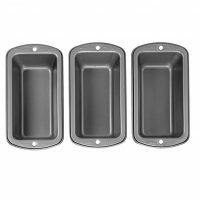 Spray bread pans with nonstick cooking spray. Fill bread pans up with batter. Fill close to the top. Transfer to pre-heated oven and bake. Remove from the oven, cool and serve. Delicious! Let’s face it. Bananas are purely delicious and healthy. Like our insanely delicious Banana Smoothie–that we like to have ALL.the.time! 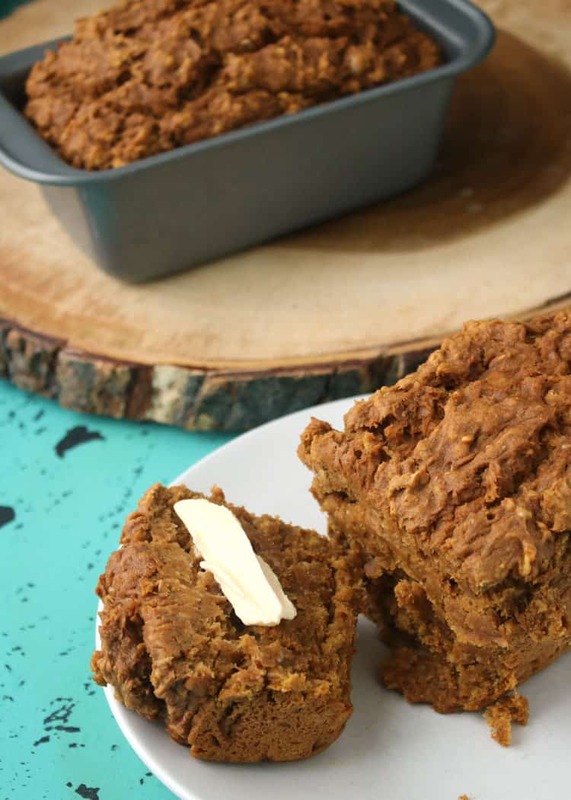 Weighing in at 3 1/2 Weight Watchers Points per slice Weight Watchers Banana Bread is also a great option served for breakfast alongside some low fat yogurt or fresh fruit. Really, this bread is so delicious whether you’re enjoying it for breakfast, lunch, dinner or a snack. The recipe makes 24 slices- we slice the loaf down the middle and then cut each half the loaf into 12- making 24. You could also make mini muffins instead and enjoy a couple mini muffins with fruit for breakfast. This delicious banana bread can be served up for breakfast or a snack. Pair Weight Watchers Banana Bread up with a little bit of yogurt and berries and you’ve got a healthy and delicious lunch that is perfectly balanced and intensely enjoyable. We’re pretty partial to our Sinfully Delicious Yogurt Parfait… that really isn’t sinful at all. This recipe is very hearty, delicious and moist and is recommended to be kept in an airtight container in the refrigerator until ready to serve. Banana Bread is always great heated up for a few seconds in the microwave as well. 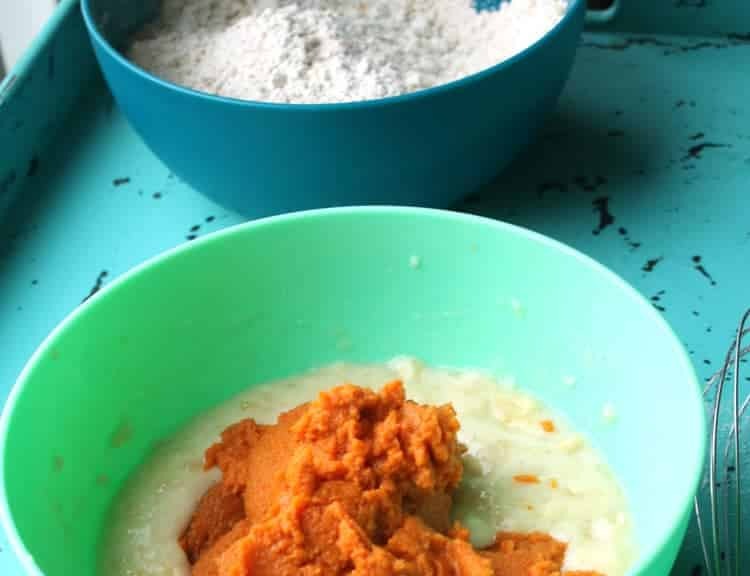 The fresh fruit and pumpkin in this Weight Watchers Banana Bread Recipe provide plenty of moisture there is no need for added margarine or butter on top. 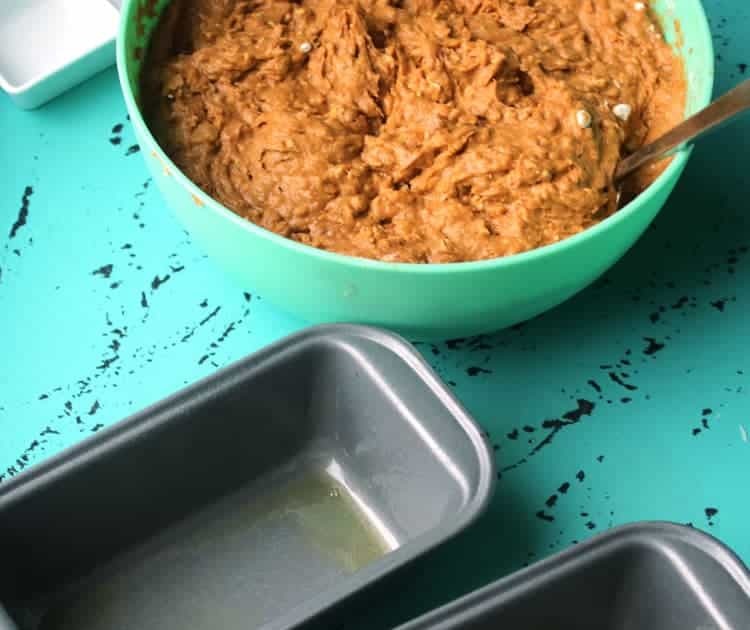 Best Weight Watchers Banana Bread recipe is a fast time-saving sweet bread recipe with healthy ingredients that you can feel good about. At just 3 1/2 Smart Points per serving, you can enjoy a slice of Weight Watchers Banana Bread with dinner or as a snack. 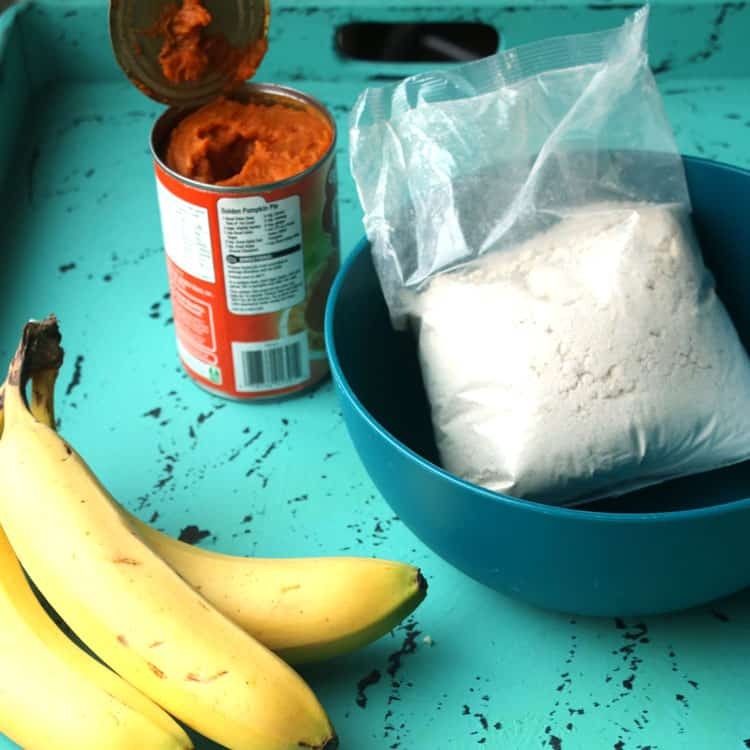 In a large mixing bowl mix together canned pumpkin and bananas until well blended. 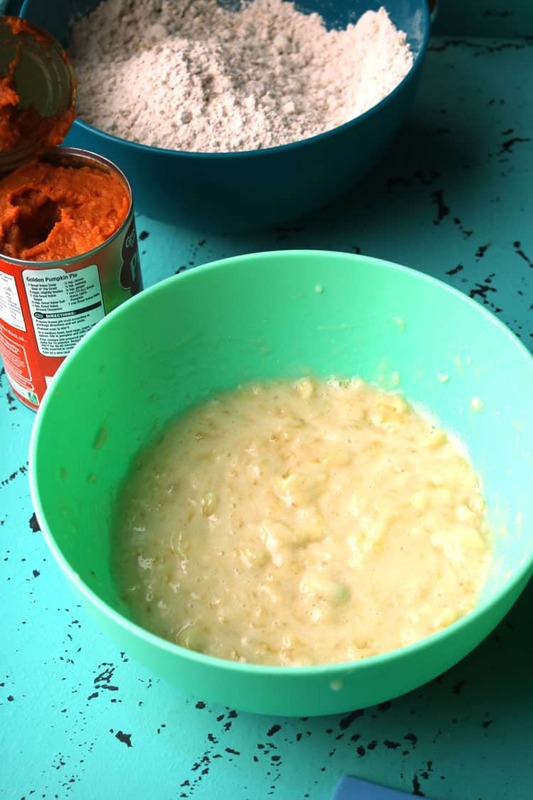 Mix in cake mix and oats (optional) until mostly moistened. Pour into pre-sprayed loaf pan and bake at 350 degrees for 55 minutes or until toothpick inserted in center comes out clean. Hi, I’m Lorna! I would like to make this banana bread recipe it looks great. We used a standard size bread pan. i WOULD LIKE TO HAVE THE RECIPE FOR WEIGHT WATCHERS BANANA BREAD MADE WITH GITS, BANANA, EGG, POWERED MILK, VANILLA FLAVORING. DOES ANYONE HAVE IT? Is this 3 1/2 smart points? The updated WW version? How many points in the banana bread? I entered the recipe into the WW recipe builder and it is 3 SP!! So…enjoy! Delicious!! I made this using a carrot cake mix, with oatmeal plus raisins and walnuts. Super moist…a big hit with my church group!! I noticed this was from 2016. WW has switched to Points Plus and lots of point values have changed. Do you know how many Points Plus this would have? What temp In oven and how long? It’s in the directions: 350 degrees for 55 minutes. Enjoy! I don’t have a spice cake mix, can I use a yellow cake mix???? Sure. You can use that, but the taste would be somewhat different. I’m assuming you just add the cake mix dry. Not mixed as directed on box and then add?? You are correct! Hope you enjoy the bread as much as we do! I made the recipe with the addition of the oatmeal. I baked it in muffin cups for portion control. I got 24 muffins at 2 SPs each. I thought they were quite yummy! 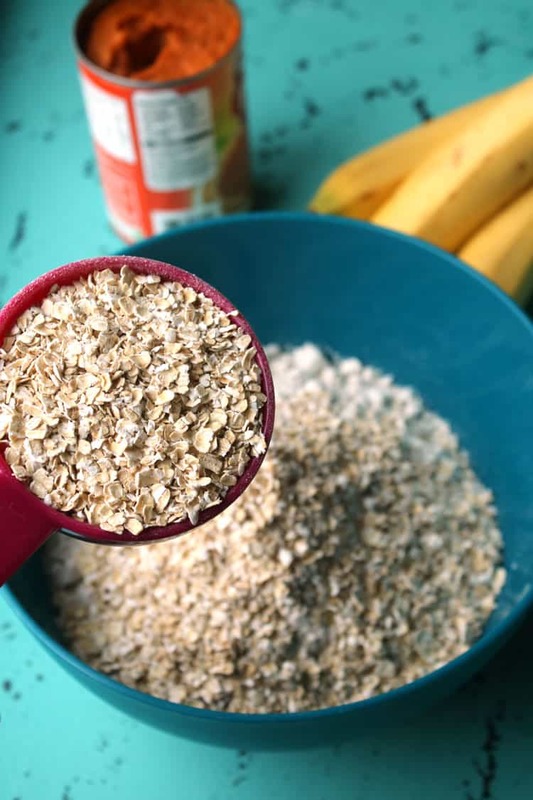 Thank you for something simple and quick that uses up my ripe bananas too. I could not find a sugar free spice cake mix so I used the Pillsbury Supreme Moist sugar free yellow cake mix that is sweetened with Stevia. I added cinnamon, pumpkin spice mix, and ginger to compensate. I thought about adding a pinch of cloves and a few grinds of nutmeg but this still had a nice spice. The recipe does not ask for sugar free spice cake mix. If I use a cake mix with sugar it would increase ww points correct? Hi, thank you for posting this recipe. Although, I am not following WW at the moment, I am counting calories. Would anyone be able to give me the calorie count per serving? I can’t wait to try them. The calories are posted right under instructions. Says 112 calories, which is really good but one loaf is 24 slices. 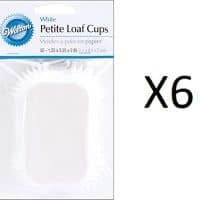 They must be really tiny litlle slices. Never thought you could ven cut a loaf in 24 slices. If I add walnuts does it change the recipe amounts ? The amounts of other ingredients should be the same, but your calorie count and points would be different. Walnuts sound like a yummy addition! But can you really cut 24 slices from one loaf? Even 12 slices would be small portions. That is exactly what In thought. That is why each slice is only 112 calories. I am with you. My great husband made it for me because it was a WW recipe and we had some bananas to use. So thoughtful of him to research for a WW banana bread recipe, right? But 1.) it isn’t banana bread, it is pumpkin bread. Bananas help make it moist, but there is no banana taste to it. Only pumpkin. But that is okay, I like pumpkin bread too. 2.) when he told me how many servings were in it and the points, I thought I believe I could have eaten a lot more of other pumpkin and/or banana bread/cookie recipes out there for 3 to 4 points. The bread is delicious, but a very small portion for the points. The recipe makes 2 leaves, each cut into 12 slices. That gives you 24 slices total for the recipe. What size pans do you use? 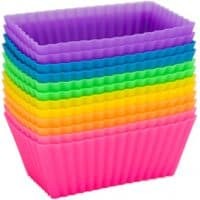 Standard loaf pans. Most are 8 1/2 x 4 1/2 and 2 5/8 deep. Can’t wait to try this. Do you have a printable version of recipe? Thanks. Yes, scroll to the bottom of the post for the recipe card and click on print. Thanks! How much flour am I supposed to put Into this banana bread? This uses the cake mix, not flour. Delicious, easy recipe and a great healthy snack. Omgeeeee. This is amazing! So moist and delicious. I added a low fat cream cheese frosting. All it needs is a tiny bit. Even without the icing you can’t tell it’s fat free/ weight watchers. Highly recommend! This sounds delicious, & I’d love to make it. It would be extremely helpful to some of your readers if you could first list all of the ingredients, as usually done in cookbooks & other printed recipes. It’s very charming to have a step by step format. However it makes it extremely awkward to gather ingredients & measuring tools. It would also be nice to include what size pan to use. I don’t mean to be critical, & I may be the only one who finds your format confusing & nerve wracking to follow. I plan to try this, but I know I will have to rewrite it into a more familiar recipe format. If you scroll to the bottom of the post, you’ll find the recipe in typical recipe (cookbook) format. That is where the recipes are always in my post. Thanks!